Slotted right in the latter half of the timeline, The Wind Waker contains many a musical throwback. Set upon the rolling waves of the Great Sea, leagues above the sunken remains of a once great Hyrule, the leitmotifs and references of the soundtrack give a tangible weight to the world and history of Wind Waker, as a title with… *ahem* links to the past. From the absolute outset (Island), the music of Wind Waker gently reminds you of the titles and worlds that came before it. Outset Island’s theme is a jolly blend of “Aryll’s Theme” with a few rather subtle notes of Ocarina of Time’s “Kokiri Forest,” adding an element of familiarity to Link’s home. 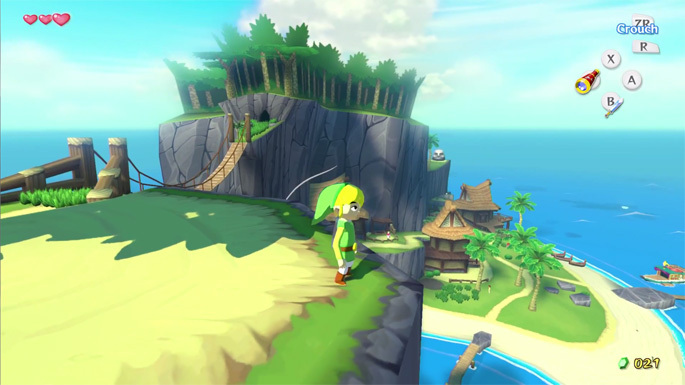 “Windfall Island” too, a dense, populated port filled with locals, shops, and side quests similarly echoes “Kakariko Village,” with a theme resembling a more wistful remix of the original. “Forest Haven” takes the Kokiri motif a step further, as the whole theme being a slower, more mystical take on the original forest tune, implying that it is indeed ye olde Kokiri stomping ground. Interestingly, it’s heavily implied that the Deku Tree Sprout of Ocarina of Time grew into the Forest Haven’s Deku Tree, and that the giant hollow tree protecting them all is indeed the remains of the prior Deku Tree. Further still, the neighboring Forbidden Woods contain familiar huts and stump-like houses reminiscent of Kokiri homes; the Lost Woods have clearly seen better days. It’s such a subtle, yet powerful tool, painting Wind Waker as a sort of tranquil post-apocalyptic world where the soaked and buried past is never truly forgotten. It’s important for Wind Waker to remind us of the past in this way, history being a crucial theme here more so than in any other title. Prior races have since evolved; Zora’s have swapped scales for feathers (despite the influx of water), the ageless Kokiri shed flesh for bark. Only Gorons have remained the same, yet appear eerily scarce in number. A Sage is present in both the Rito and the Koroks with Medli and Makar, respectively. Each hold an instrument that aids in awakening of the Master Sword, calling forth their ancestors in spirit, and passing on their song to aid Link. 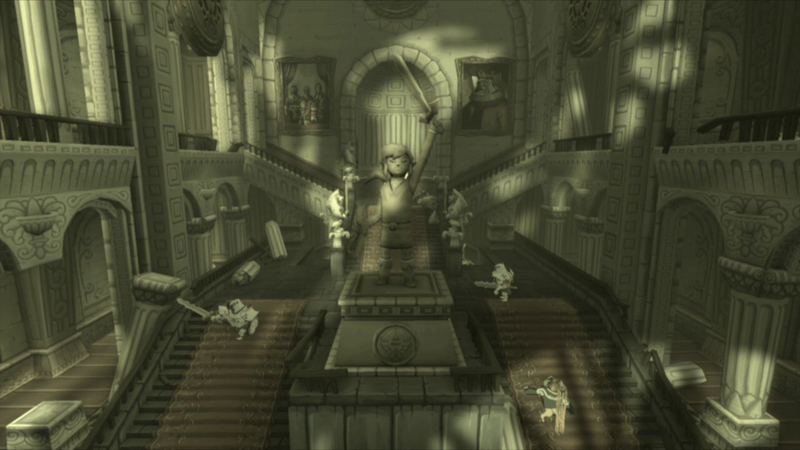 As each appears before Link, a remixed version of the aged intro music plays, cementing these ghosts in the past, with each having a different version corresponding to their instrument and race. As a way of drawing the efforts of each Sage and Link together, the music that plays during each rite is one half of the whole title track, which interestingly features the strums of a harp and the strings of a cello, the symbol of each of these sages, marking them as prominent fixtures of the narrative. 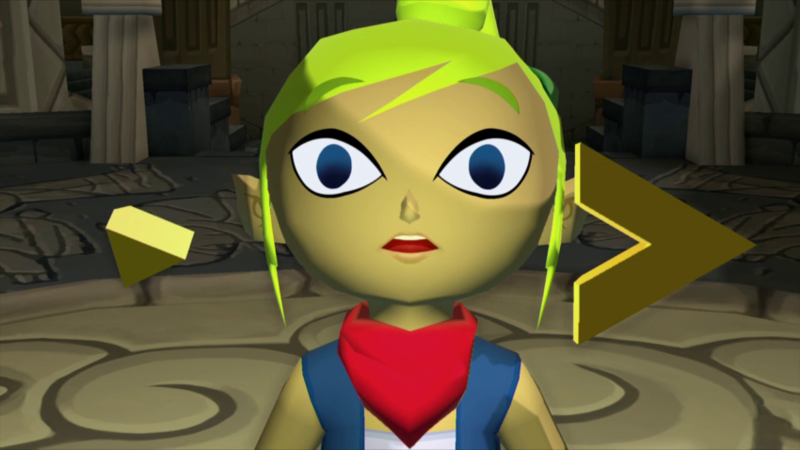 The bases of Wind Waker lie in tragedy, the failure of the Hero of Time, despite the cheery, toonish trappings. Ocarina of Time is referenced a lot, but we go back even further once Link explores Hyrule under the waves. We meet Daphnes Nohansen Hyrule, the King of Red Lions and Hyrule itself, accompanied by a dramatic variation of the Hyrule Castle theme from A Link To The Past. Combining his piece of the Triforce of Wisdom with Tetra’s, we hear the same sound effect of the pieces coming together as we did on the SNES, taking us much further into the past than anything that remains on the surface. Beyond the many, many musical nods within Link’s premier voyage, music has some interesting applications within gameplay. Link holds a conductor’s baton instead of an instrument, and he can guide other characters though the Command Melody; but he also has another baton of sorts, his sword. During a mini boss fight, each successful swing is celebrated with a piano key, depending on the damage dealt, reaching a crescendo when a foe is knocked down. It’s a really dynamic and memorable feature that I wish appeared elsewhere, but dealing parry attacks along to the beat was and will always be acutely satisfying. Just as the game masters music to shape and control its world, Link must also demonstrate his own mastery over the musical cues we hear throughout his adventure. 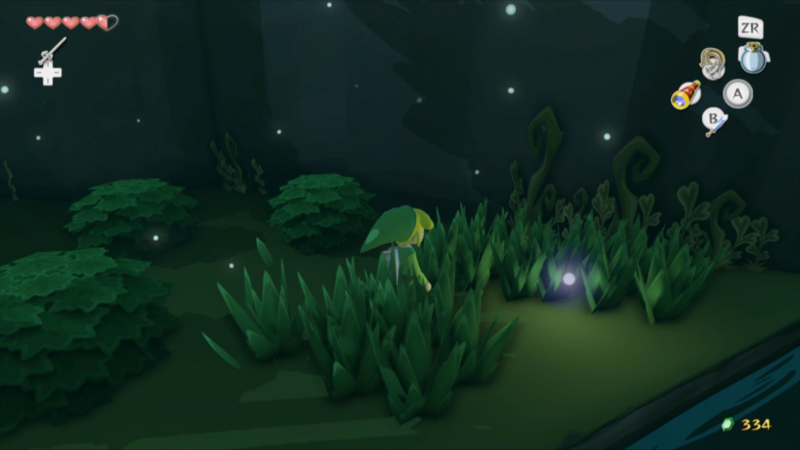 Whilst Wind Waker’s use of leitmotifs is used to weave together an in-game history, it’s also a classic dose of nostalgia for long-time fans. Hearing these familiar tunes alongside the new and the fresh sounds of Dragon Roost Island or The Great Sea itself perfectly encapsulates what Wind Waker is about: the new emerging, thriving, and existing upon what built it. 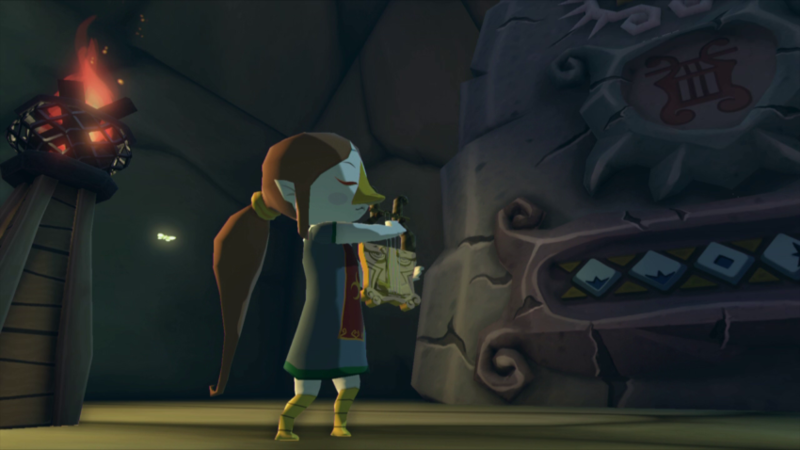 The Wind Waker can be a controversial topic amongst fans, but it’s cherished by many for an impeccable reason as it is not only a delightful game, but one with soul that cohesively collates all that led up to it at the time.